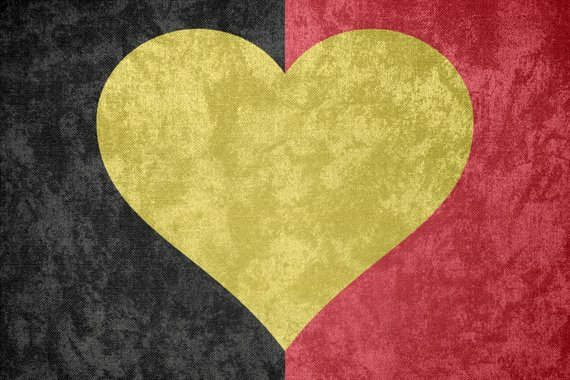 Today my heart goes out to the victims and the families of the deadly attacks in Brussels. I am reminded, as I have too often been over the past 30 years working on poverty, that the world has changed in ways almost unimaginable. Thanks to technology's rapid expansion, we are more connected to one another than ever before. And yet combined with growing inequality, the breakneck speed of change has also contributed to the pulling apart of humanity's fabric into tribes. It should not be surprising then that some feel a pull from traditional religions while others hold more fiercely to ancient traditions that reinforce identity and belonging. In some extreme cases, identity and faith fueled by fear can be perverted into a deadly fanaticism as we witnessed today. There are some whose response is to argue that religion is so dangerous in the modern world that it should be rejected altogether. There are others who would argue that religion has provided us with the essential tools we need to become our best selves and that we reject it at our peril. Instead, I would ask how we can have more honest conversations about which essential beliefs we can share, which sacred traditions and practices will make us more fully human, and which will allow us as human beings to shine, to flourish and to create. Conversely, which practices and beliefs diminish individuals and will impede the creation of a future in which every human can live with dignity? I hold deeply to many of the beliefs I inherited. I believe in social justice, in forgiveness, and in living with moral imagination. I believe that we cannot live with true dignity as a human race until all of us have dignity. I believe that our separation from each other is not inevitable. I believe in love. Our generation, like none before, has the chance to create a shared moral framework for a more inclusive world where every one of us can live with freedom and dignity. It will be of use only if it allows all of us to see ourselves in it, whether we are religious, skeptical or atheist. This is our challenge -- and our opportunity. After the vigils to mourn and honor those who perished today, we must commit anew to making our world not only safe but whole and to creating communities that cross lines of difference, rather than remain entrenched in sameness. To confront fear head-on we don't need more leaders standing behind retaliatory force. We need more cohorts to cultivate fellowship and create a counter-narrative for the world to see and believe in.